Happy Monday, friends! 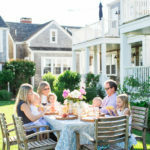 If you have been following along, you know we have been sharing our recent summer getaway to Nantucket that felt like a little slice of heaven. The first post featured what we packed for our trip and the second one showed a sneak peek of the beautiful harbor we stayed on at a unique property called Harborview Nantucket. 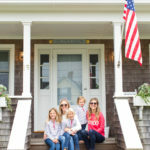 Our three bedroom cottage called “Mainsail” was located both on the harbor and only two blocks from Main Street and Straight Wharf, which was a major win-win for us. So, today we are bringing you on the beautiful stroll we loved to take from our cottage to Straight Wharf! 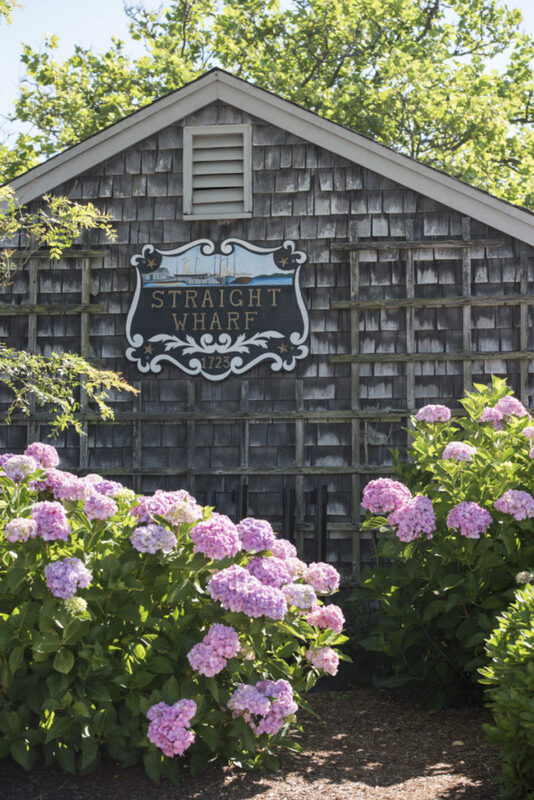 The route we liked to take from our cottage to Straight Wharf was mainly on gravel paths and cobblestone streets lined with pink and blue hydrangeas <swoon!>. 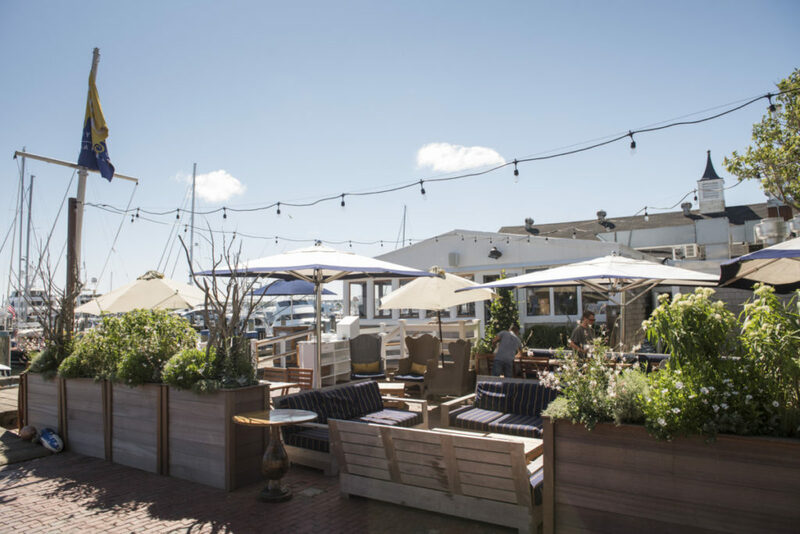 This part of town is full of docks, boats, shops and restaurants that make it the classic Nantucket experience. We didn’t have time to go on the popular sailboat charter called the Endeavor or take the kids on the Critter Cruise <both were highly recommended to us by friends and bloggers who have been to Nantucket>, but we did enjoy popping into the cute little shops <like island favorite The Skinny Dip Nantucket> and trying a few of the amazing restaurants. We picked up delicious sandwiches more than once from Provisions <our faves were the curried chicken salad and turkey terrific> and of course had to get ice cream from The Juice Bar <definitely go for the fresh, homemade waffle cone>. 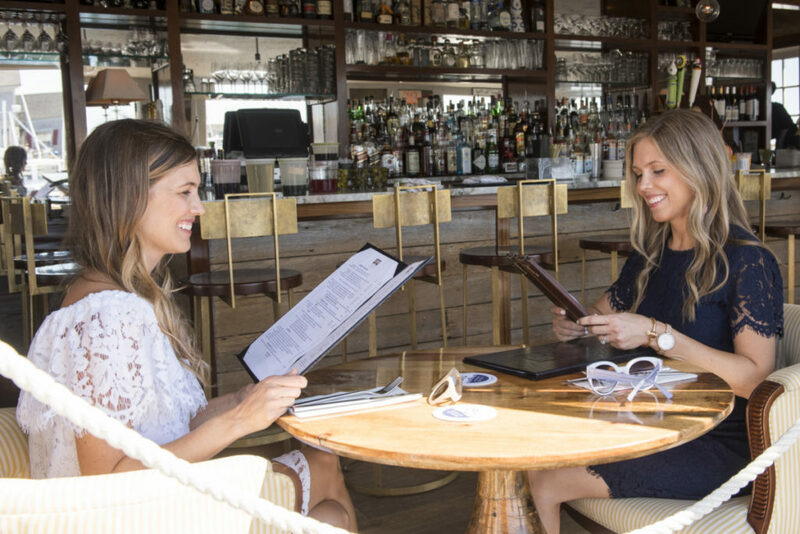 We also enjoyed a night on the town with our fellow blogger-friend Holly from Nantucket Blackbook at Cru, a chic, dockside oyster bar. 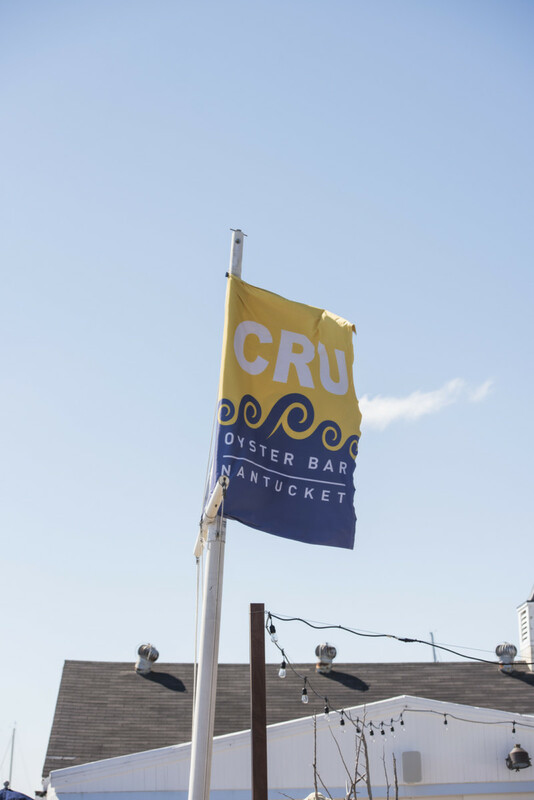 Their navy, white and yellow nautical decor and their Hush Puppies with Butter, Steamed Cape Cod Mussels and Nantucket Lobster Roll are all on point! On this day, we wore our new navy and white lace IMNYC Isaac Mizrahi dresses that are both timeless and modern <Isaac’s favorite combo and ours, too!>, but have distinctly different silhouettes. The soft, scalloped edge on Beth’s off-the-shoulder dress and the feminine, fit-and-flare cut on my dress also make them the perfect styles for day or night or day-to-night. Plus, navy and white will always be in style! Beth’s white lace dress looked cute with her pink scalloped tote <LOVE and also by IMNYC>, Margaux x MDS Stripes espadrilles, neutral sunnies and gold earrings. 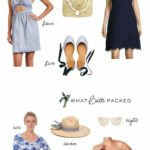 My navy lace dress went well with my new blush slide loafers <AMAZING!>, wicker basket, pink pom pom earrings and blue sunnies! 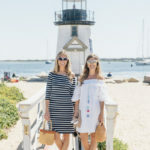 *Thanks to IMNYC Isaac Mizrahi and Harborview Nantucket for partnering with us on this post!